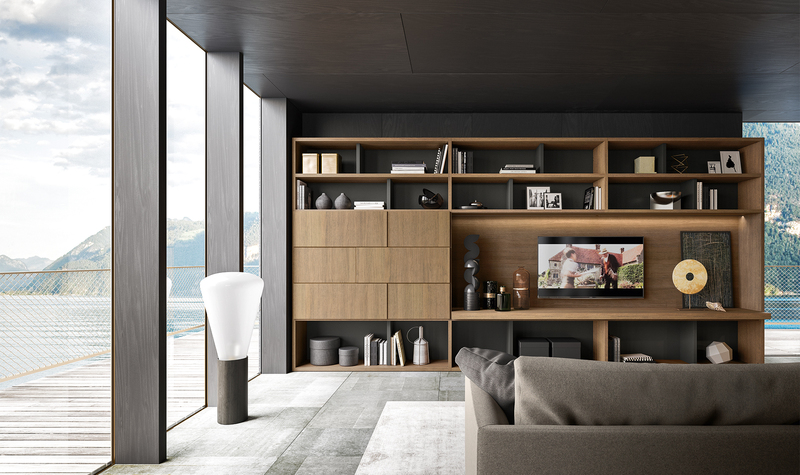 A collection, a distinguished response to novel home living requirements, which relies on two primary references: functionality and aesthetics. 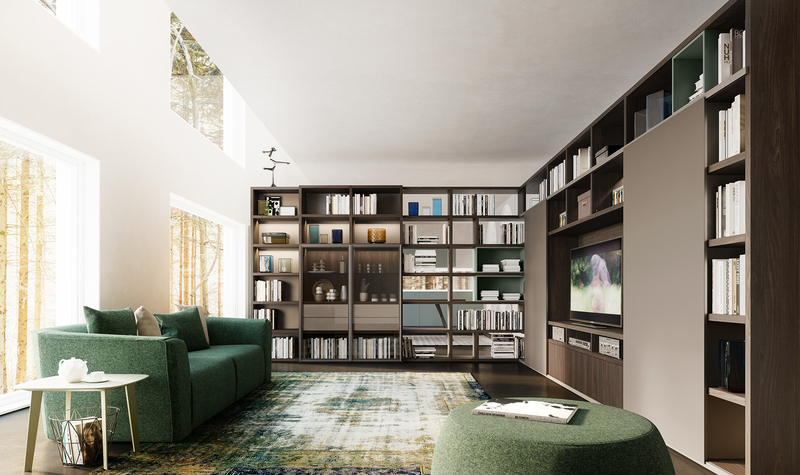 My space, the new definition of a living area. 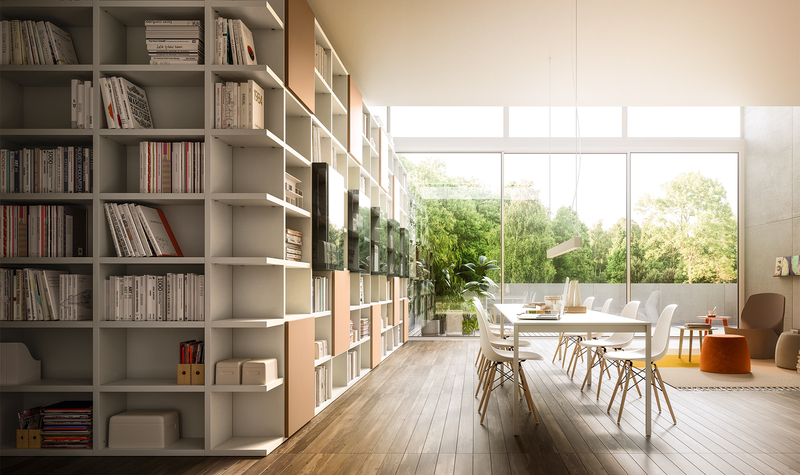 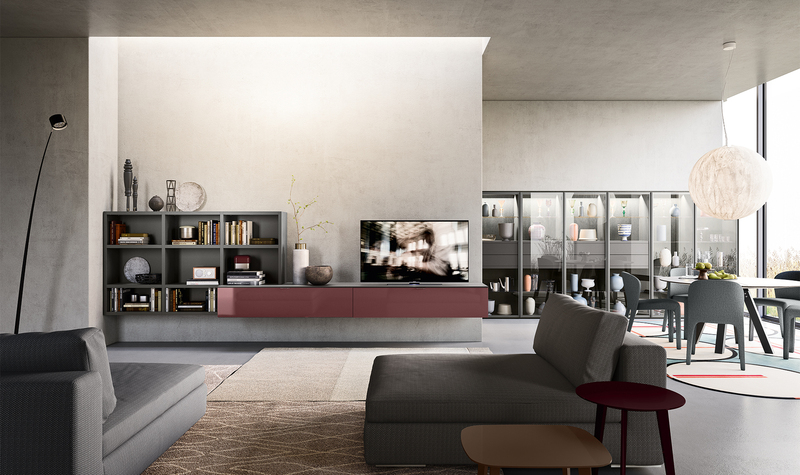 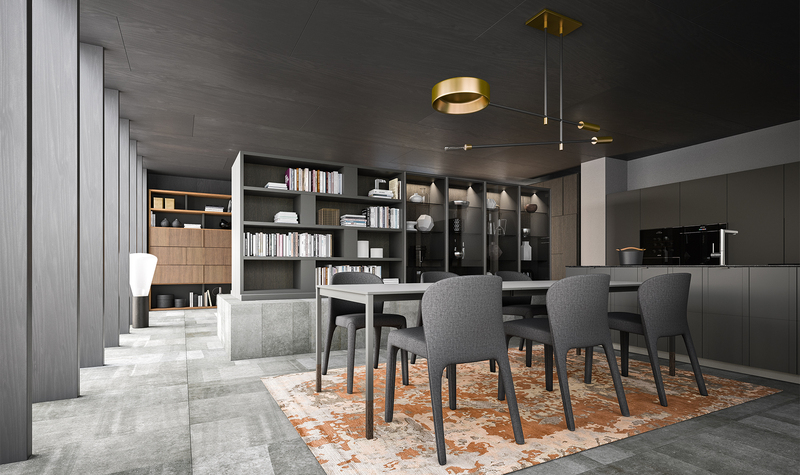 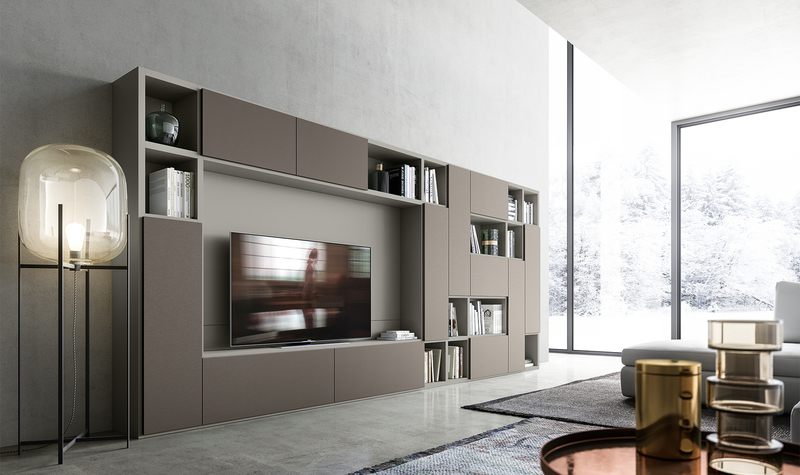 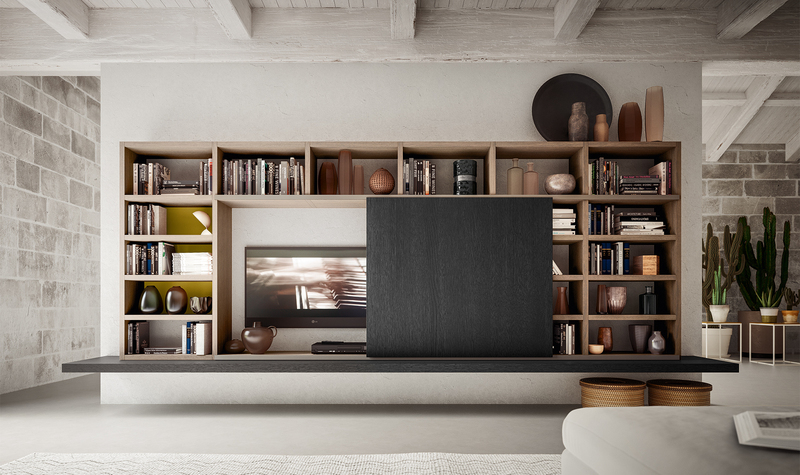 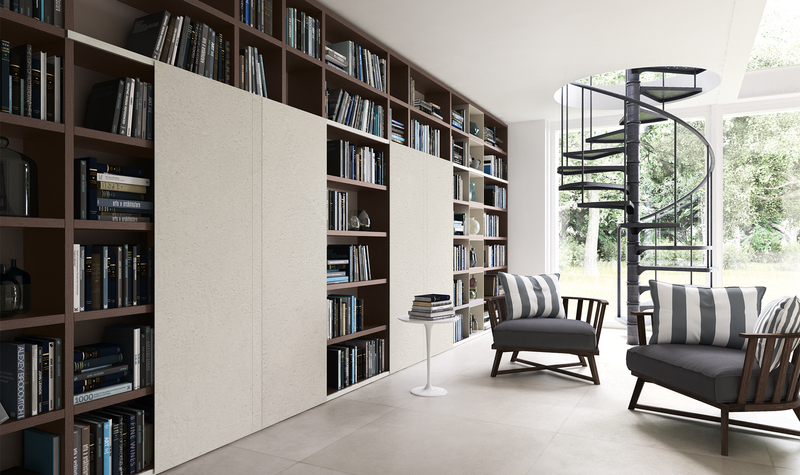 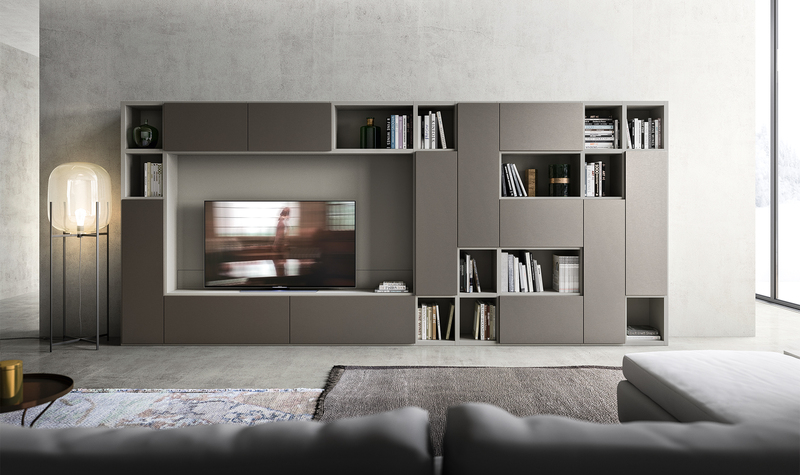 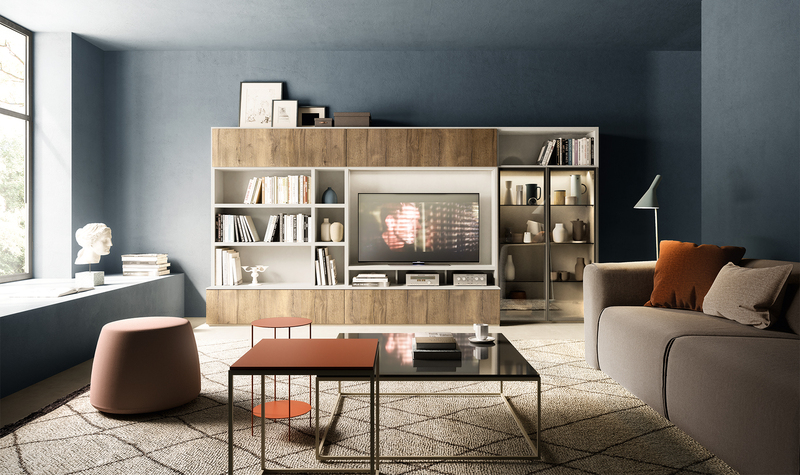 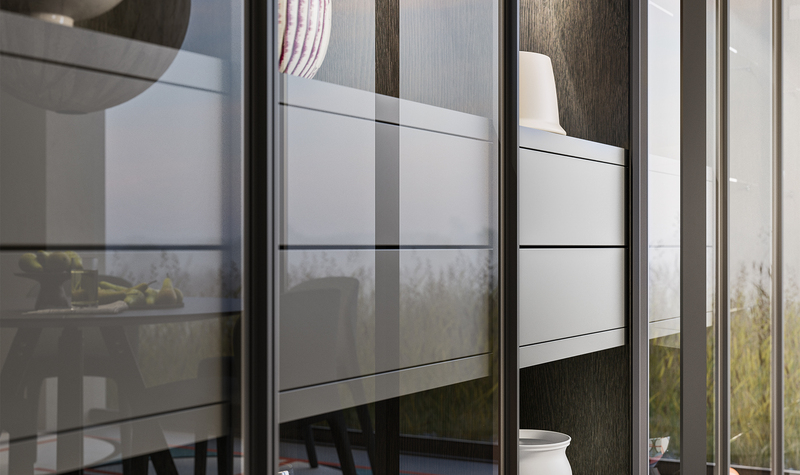 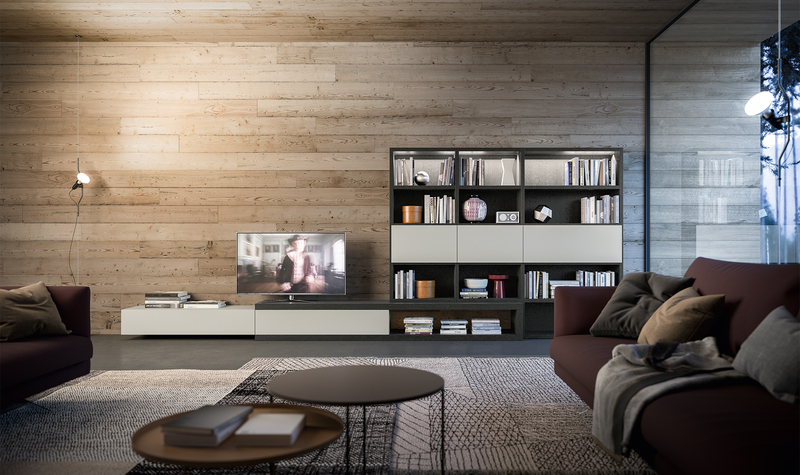 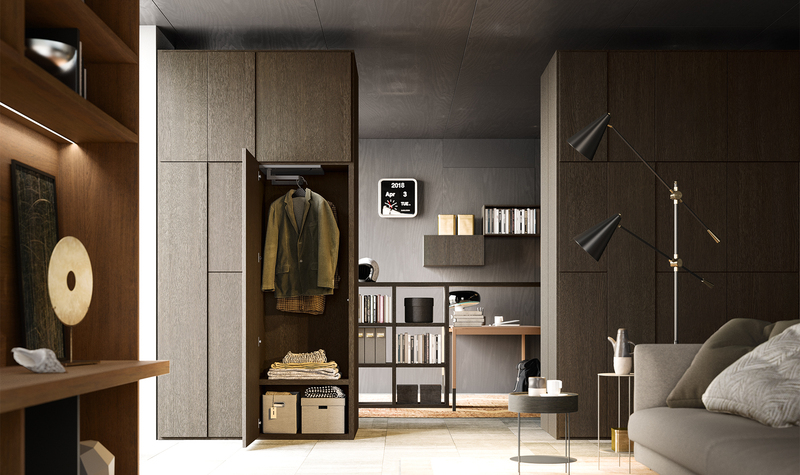 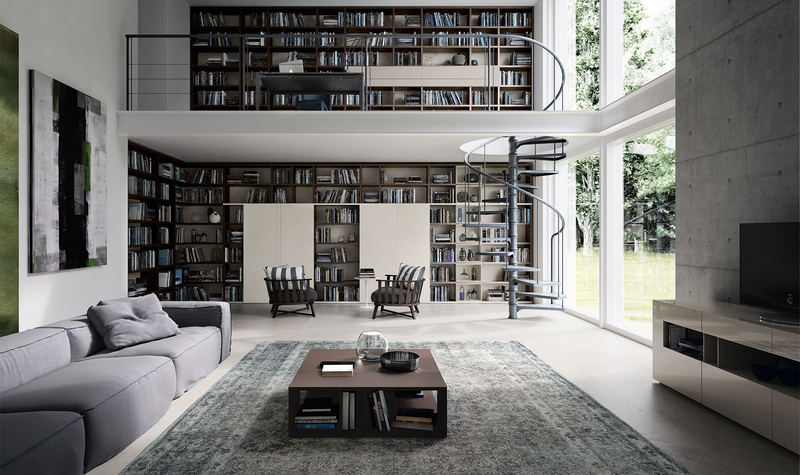 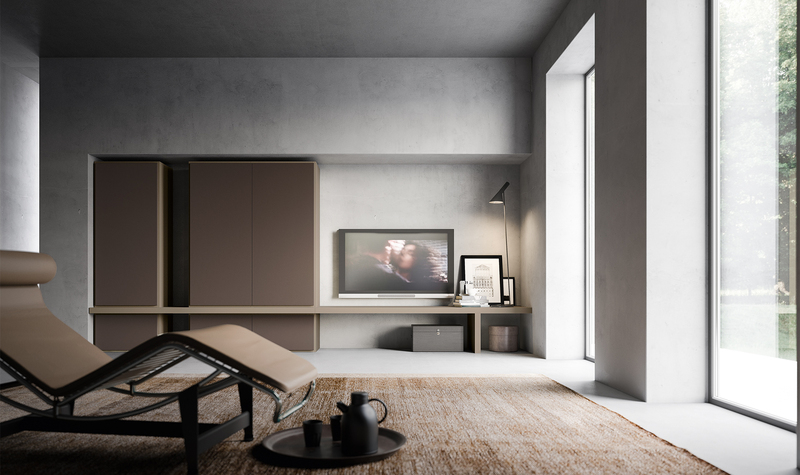 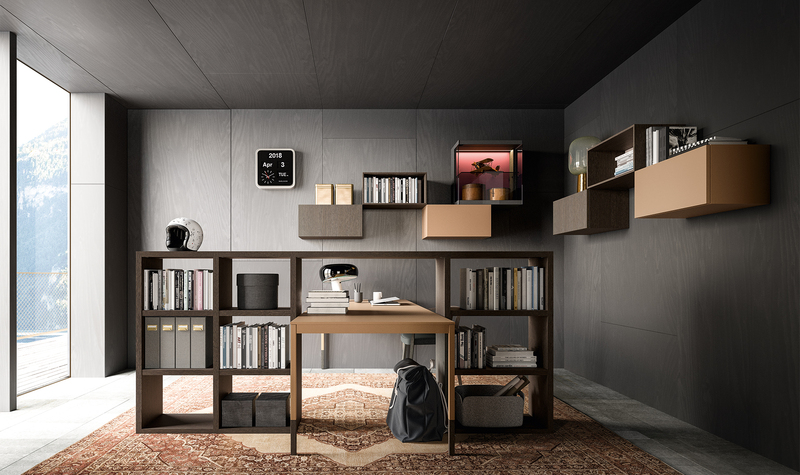 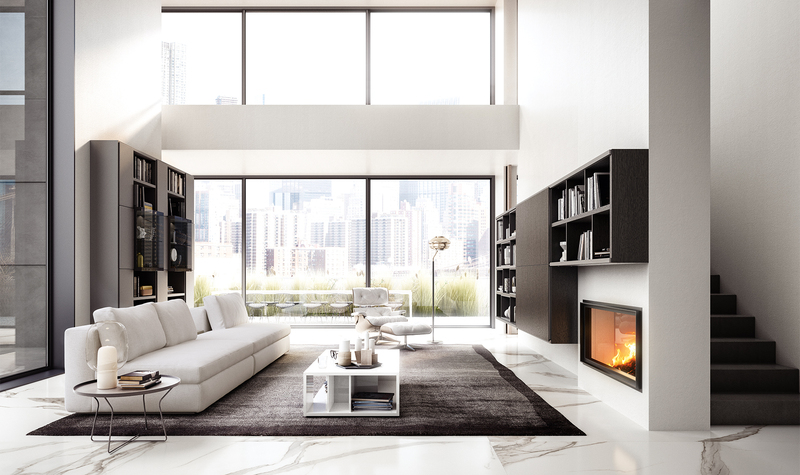 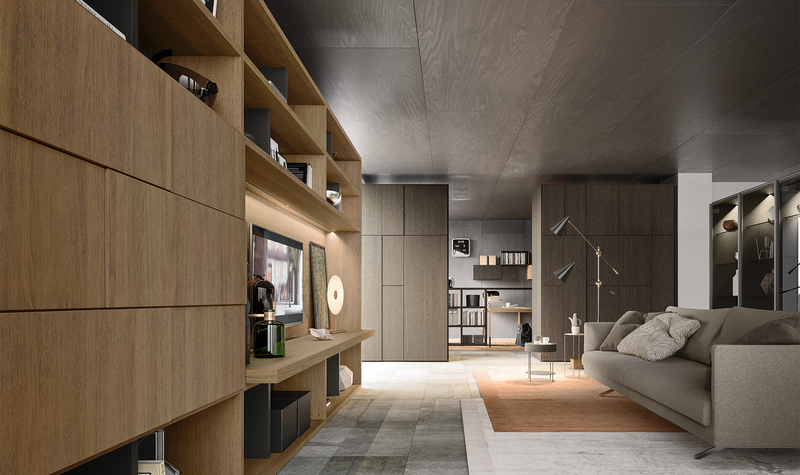 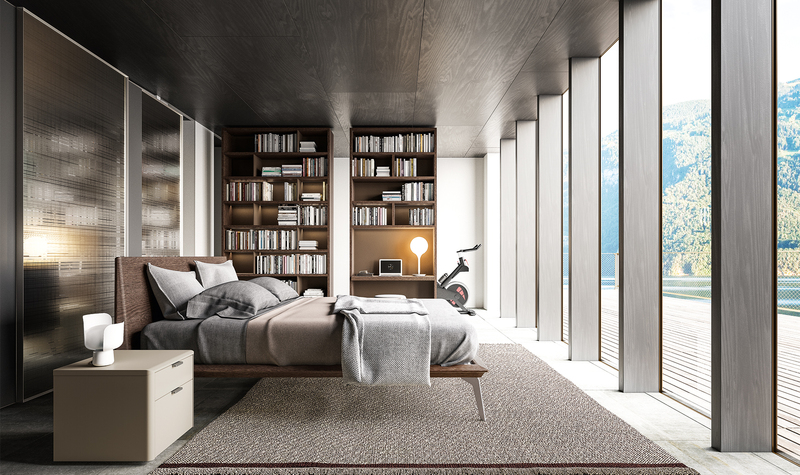 A range which designs the bookcase as the functional centre of daily life, providing maximum versatility when it comes to the composition and style. 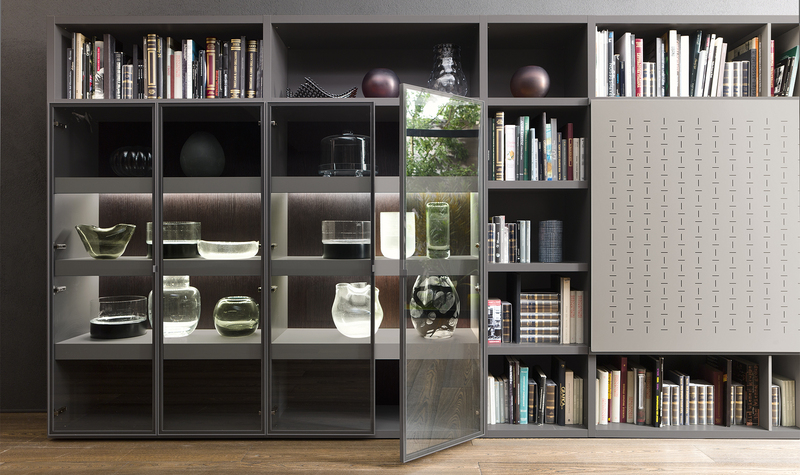 Bookcase with side panels providing excellent versatility across the thickness. 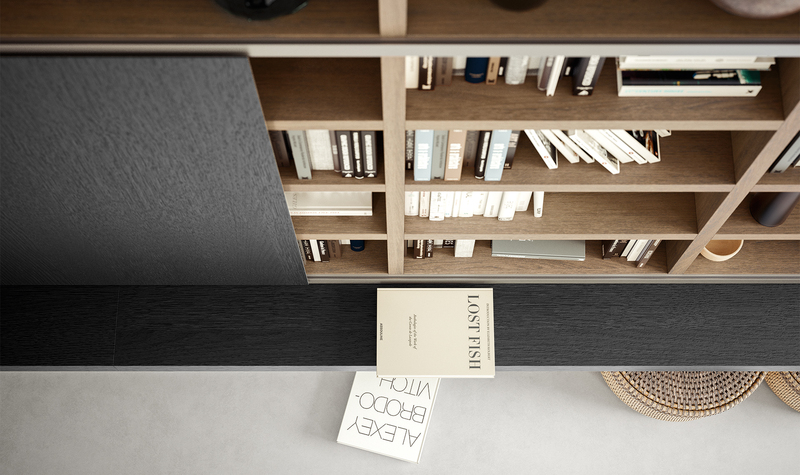 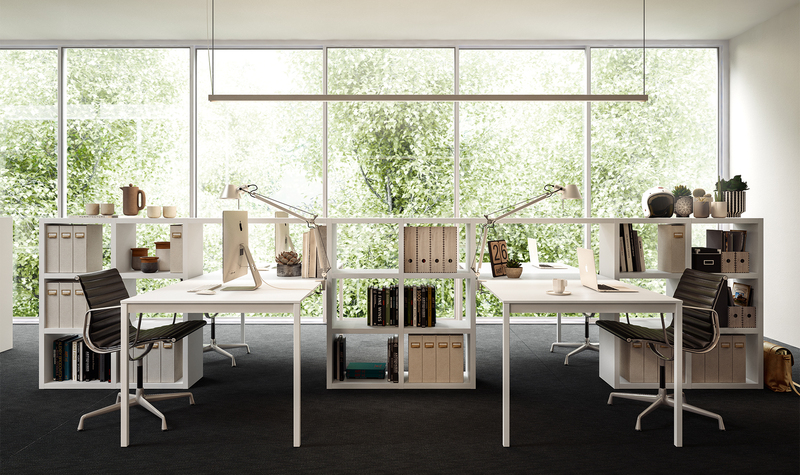 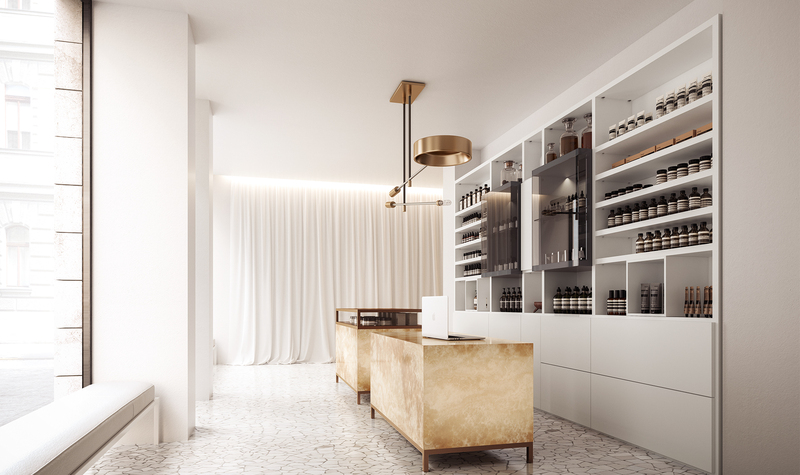 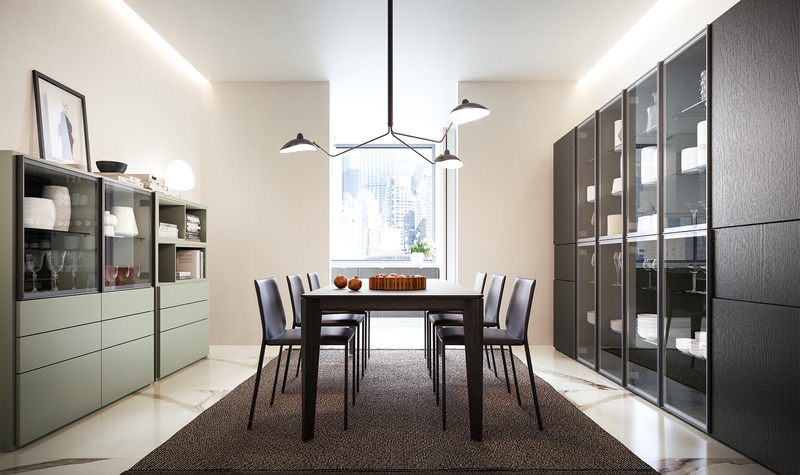 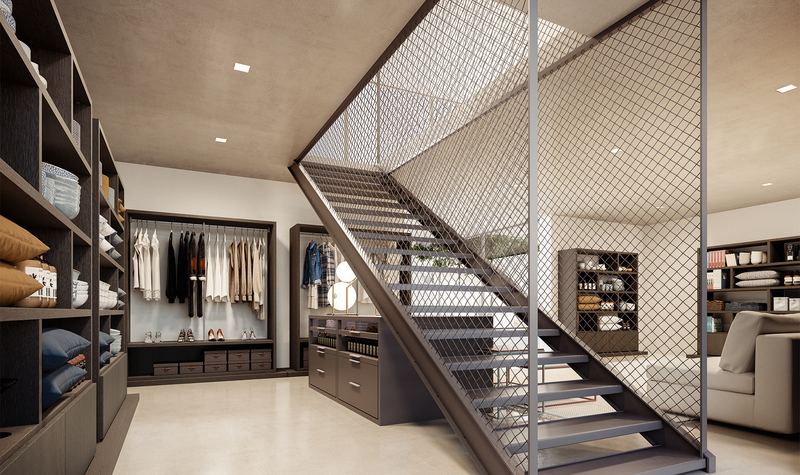 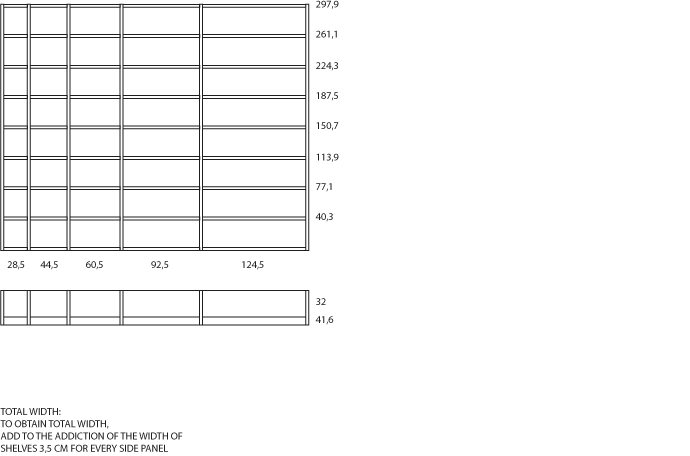 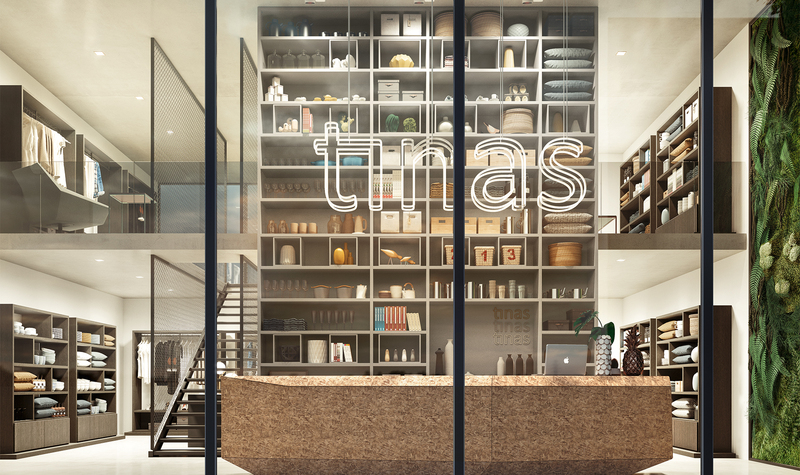 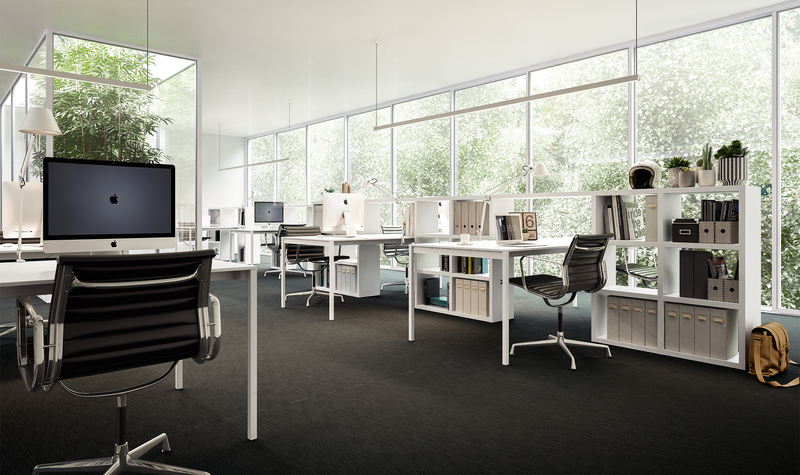 The system is characterised by 35 mm sides and shelves which bring to the forefront, the quality and solidity.